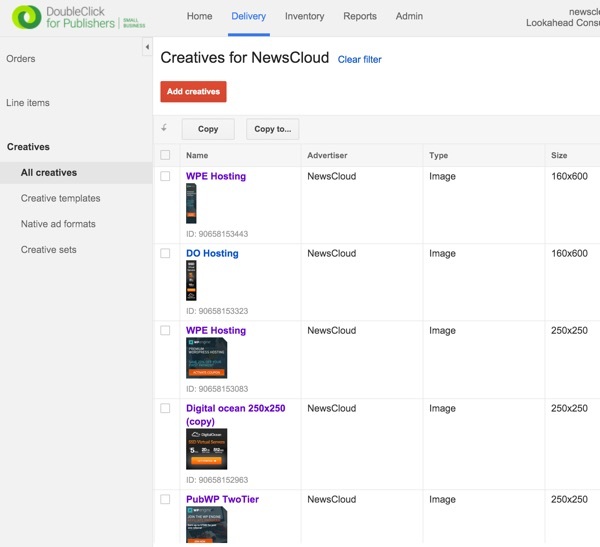 This is the sixth tutorial in a series about Google DoubleClick for Publishers. DFP is a service that can seem incredibly complicated to the uninitiated—our series aims to simplify it. 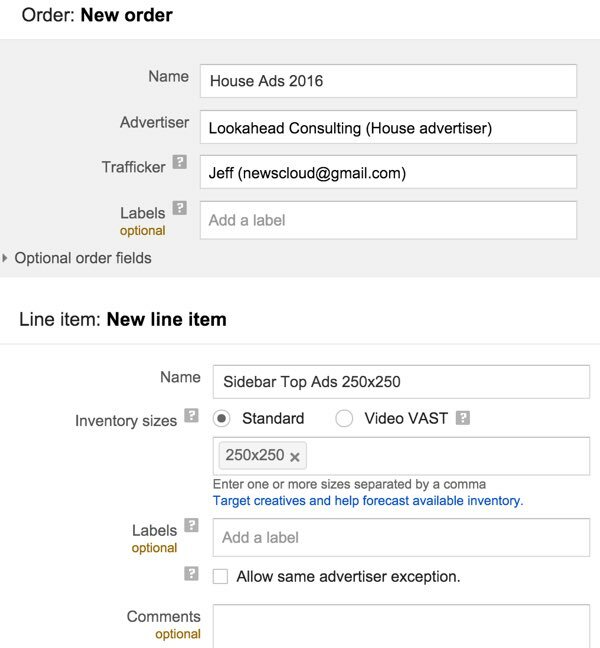 In this tutorial, I'm going to walk you through configuring a group of internal house ads which can deliver revenue but simultaneously pressure Google AdSense to provide higher-paying advertisements. If you're new to this series, please review our earlier episodes before continuing: Introduction to Google DFP Small Business, Beginning Ad Integration With Your Website and Placements. Typically, when you a run a website, you'll have more page views than demand from quality advertisers. House ads are what you put in those unbooked spaces. Sometimes, a house ad might link a viewer to actually buy an advertisement on your site. Other times, house ads link to products, services or events that you offer and wish visitors to see. One of the ways I earn revenue is by filling my unsold inventory with house ads that link to my favorite affiliate programs. 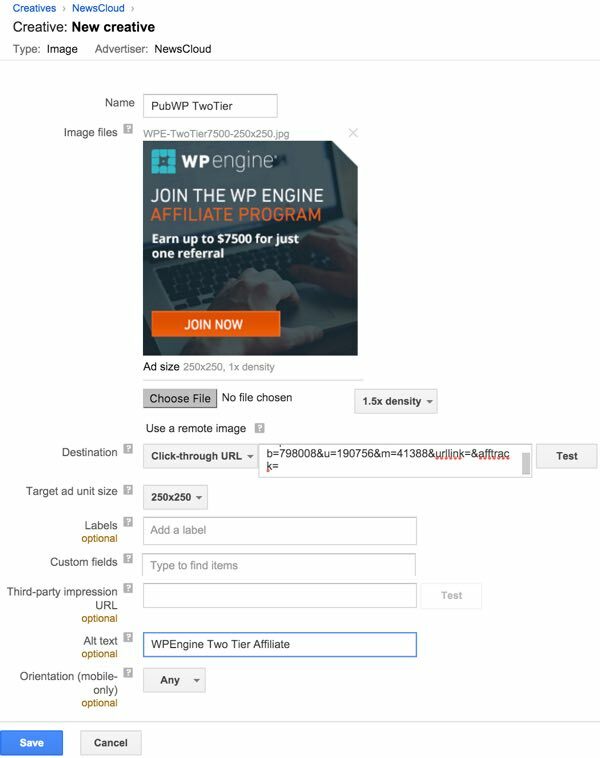 As I've mentioned here before, I've been quite impressed with the affiliate offerings of WPEngine and Digital Ocean—I also promote FastMail. 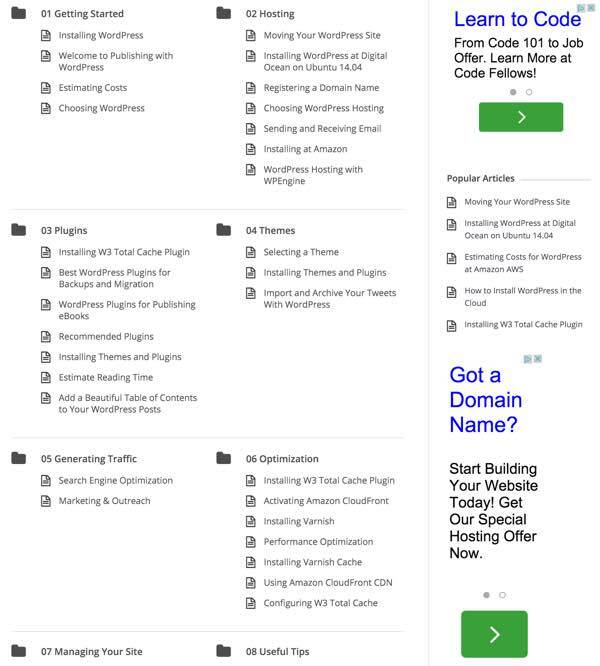 All of these services tend to appeal to my readers as well. 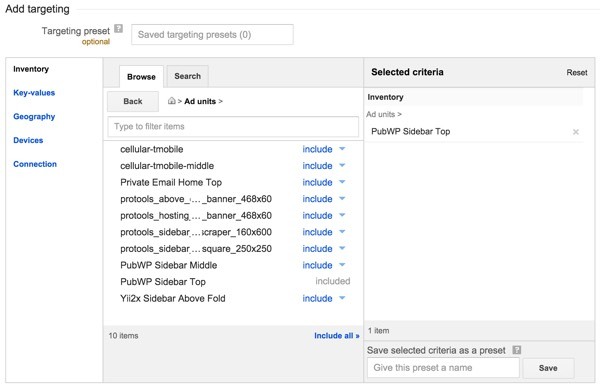 Today, I'll walk you through configuring your Google DFP account and your website to compete with AdSense's paid advertisers with your selected house ads. 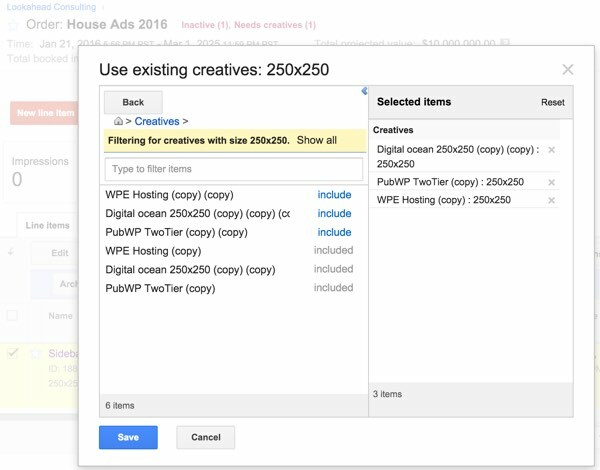 We can implement house ads in a few different ways in Google DFP. For this tutorial, I'm going to create an order for my own company which uses different line items for different ad units and sizes. Follow along below as I walk you through the various steps. 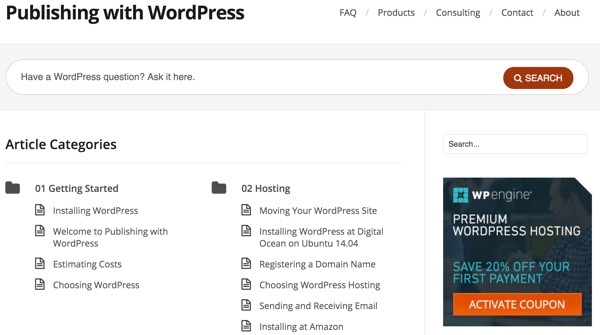 First, let's create the ad units on my website Publishing with WordPress. I'm making the top sidebar ad for square 250 x 250 images. 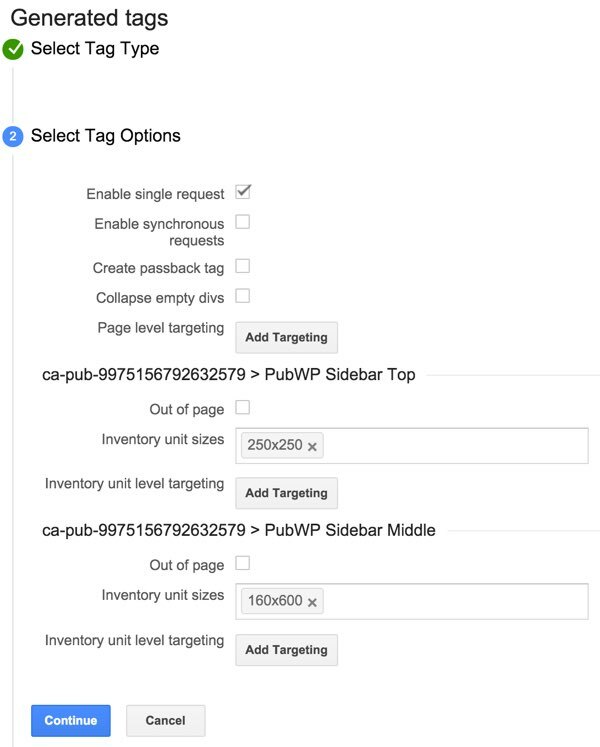 We'll also create a second ad unit for the sidebar middle at 160x600, using the same process. I wanted to experiment with a small ad near the top and a taller ad down the page. 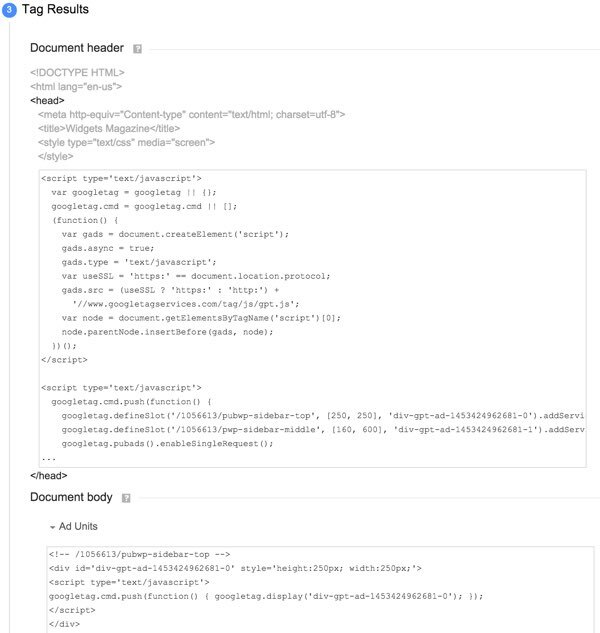 The taller ads generally are more effective, but using the small square ad higher up makes the sidebar a bit more functional for readers, better exposing access to search and recent posts widgets. Whenever our site loads, this prepares the page to load the group of ads from DFP. Next we need to place the individual ad units in their actual positions. I created two Text fields, pasting the Sidebar Top into one widget and the Sidebar Middle into another. Then I dragged them into place where I wanted them. After that, we can begin populating our network of house ads. Then it was time to create my company's house order. 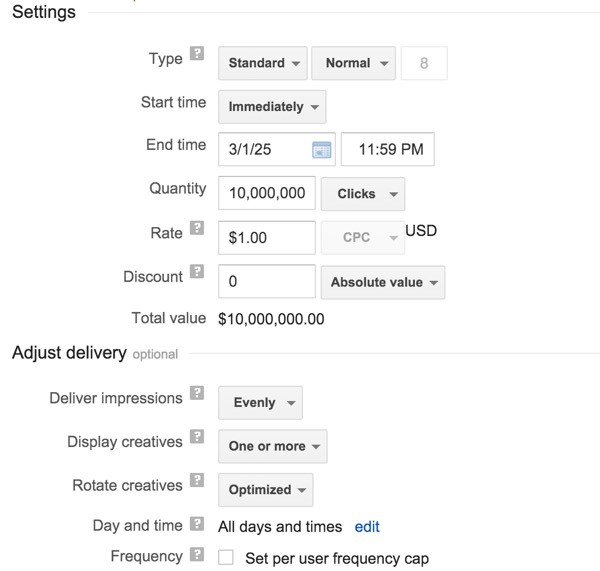 Then I experimented with my first technique of outpricing Google AdSense. There are different approaches you can take here. 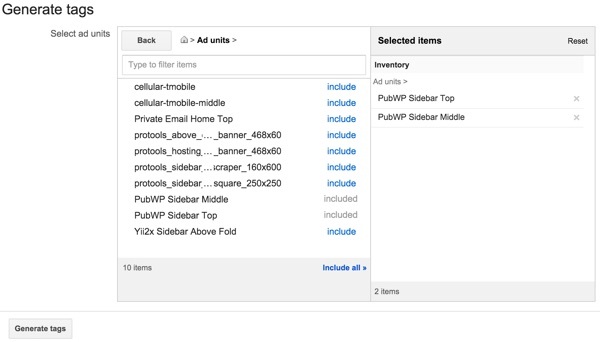 Line item types and their delivery priorities explains that if you're not interested in revenue from house ads and just want them to fill when there are no paying advertisers, you can use the House type. For me, I just left my Type as Standard to compete with AdSense. My first experiment was to set up an infinite (for my site) number of clicks (10M) at $1 per click (CPC). I guessed that this would be enough to outprice most AdSense ads for a while. However, I knew I would have to come back and monitor these settings. After creating a line item order, you have to click it and Approve it. There's not much UX notification about this. Then, I added my existing creatives. 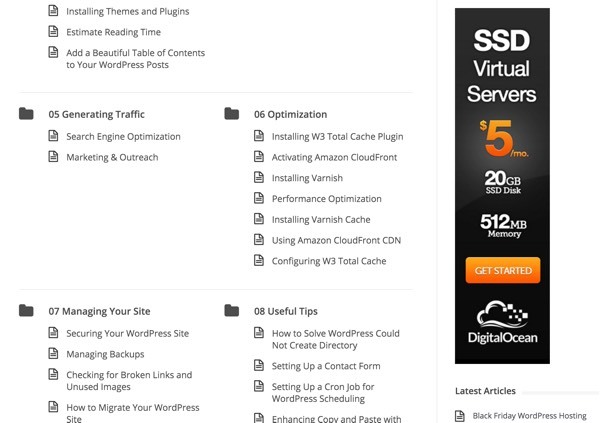 I selected my three 250x250 square ads: two for WP Engine and one for Digital Ocean. Because I had previously uploaded these creatives for a different company name, I had to make copies a couple of times to get them into the correct new company. You can ignore the (copy) and (copy)(copy) text. "After you activate a line item, the first impression is delivered within approximately 30 minutes. 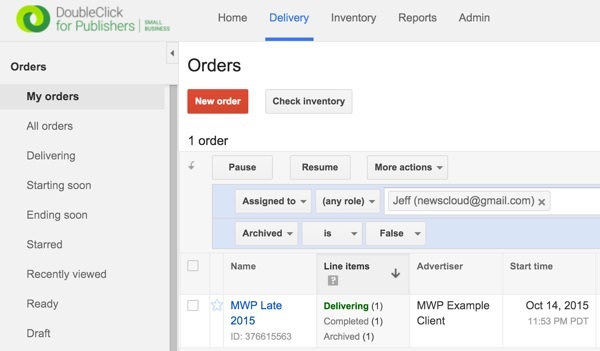 Once the first impression is delivered, reports are updated (and the line item status will change from "Ready" to "Delivering") within another 30 minutes." 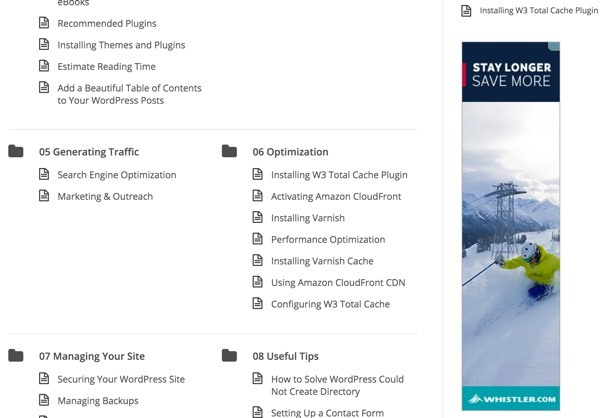 While I was waiting, I repeated the process for the middle sidebar 160x600 ads. 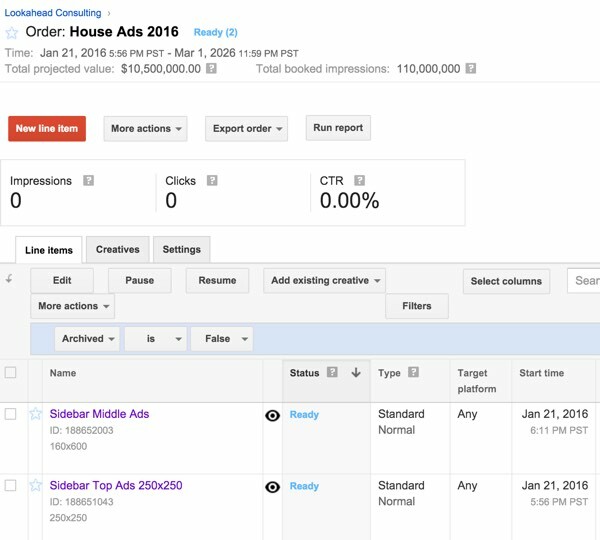 For this line item, I priced it to compete with Google AdSense using impressions at $5 CPM. I've worked with Google DFP enough to know that at this stage you just have to come back in an hour or two. There aren't very good ways to see what's happening. My favorite DFP UX issue is how it says Ready when it should really say pending 120 minutes or something. Sorry Google engineers, I know not everything is easy—but you're geniuses! The line item delivery status was a bit behind, first continuing to say only Ready even once the top ads had begun, and then belatedly saying one was delivering. I'm sure by the end of the year, this will say Delivering (2). In the end, it only took an hour. Over time, I'll expand my ad placement and the inventory of house ads. 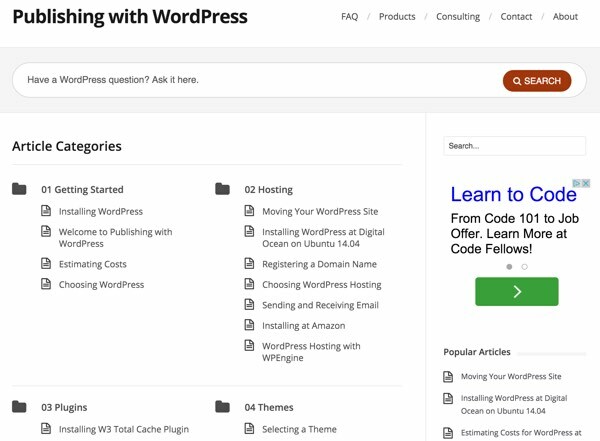 It will be fun to see if this performs better than my earlier static WordPress placements. 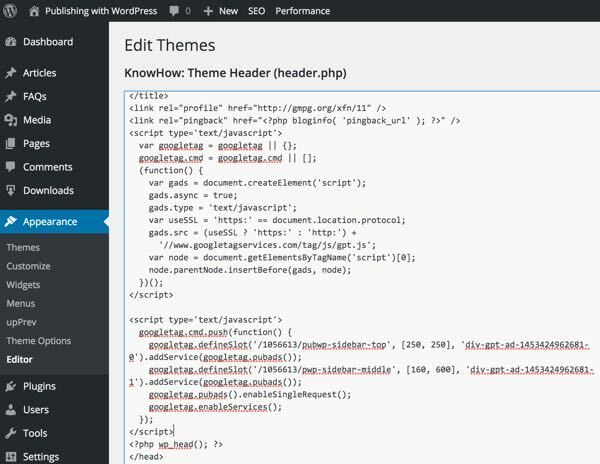 I used to use the widgets to place static HTML of my hosted ads. They wouldn't generally rotate or include paid advertising networks like AdSense. Over time, I'll need to review the pricing with clicks and impressions to see how well they compete with AdSense. I can also add in various affiliate programs and price them accurately against their average return. This way, DFP will help optimize the delivery of the most profitable ads to visitors. 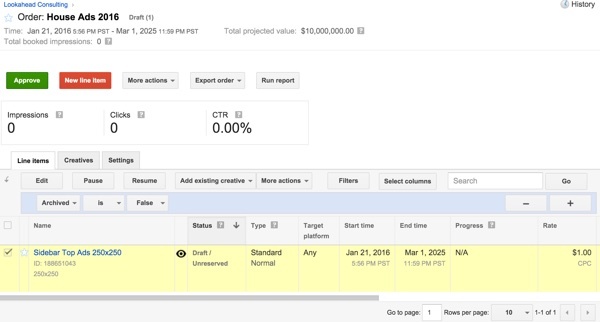 In the next episode, we'll explore Google DFP Reports. Hopefully by then our ads have started running and we have good data to present. 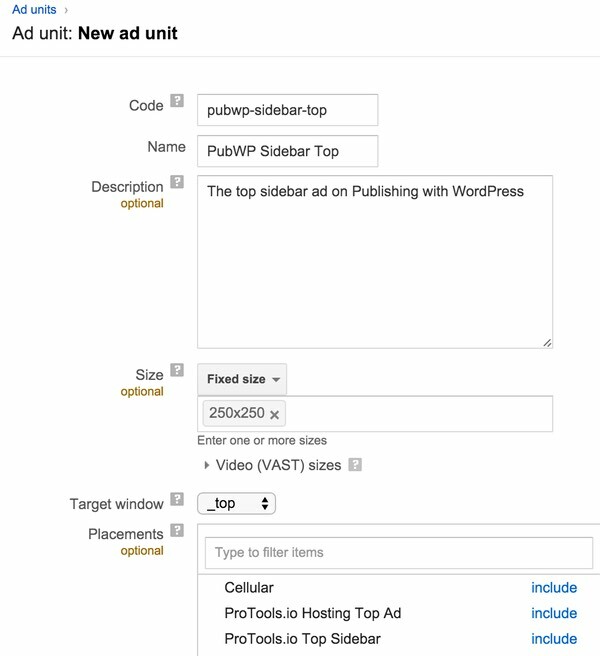 Thanks Martijn for this great tutorials, taking care of ads can be a very difficult job sometimes, you give some very detailed information here. Cheers!